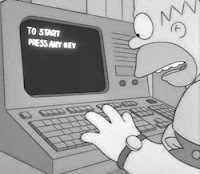 Learning Programming isn't always an easy task, even more so if you're learning it on your own or without any help. There are countless books on programming and many of them do a good job in teaching people how to code; however, only a few of them live up to the expectations. The reason for this being that programming, like Math or any other skill, requires a lot of practice. And, simply reading books or even code examples are not enough to help you become a ninja coder. Syntaxtic! : If you open a lot of code files using your browser, reading them without any syntax highlighting can be quite a drag. 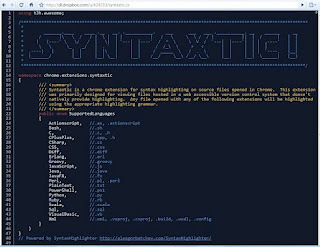 Syntaxtic is a free Chrome extension that helps you overcome that issue by highlighting all the code files you open in the browser according to their syntax. So, let's say that you're browsing Github and open a program in Python. 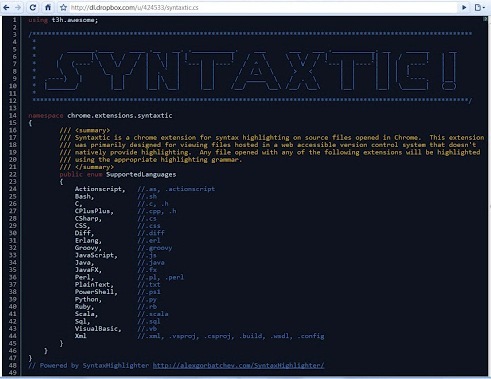 Syntaxtic automatically highlights the syntax and makes the code much more readable. This can be very useful if you're learning to code and want to browse some code examples given on the web. SourceKit: SourceKit is a Textmate-like lightweight text editor that works right inside Chrome. Designed for coders who prefer sticking to their browser, SourceKit saves files directly to Dropbox so that you don't have to worry about losing them. Once you install the extension, it automatically connects to your Dropbox (with authorization of course) and then lets you code peacefully using a full-fledged text editor. 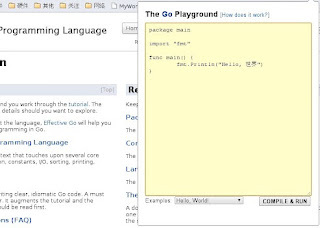 The Go Playground: Introduced by Google in 2009, Go is a compiled, garbage-collected, concurrent programming language designed to run across all platforms. If you're learning the language, there is a nifty little extension that can let you test out code easily. 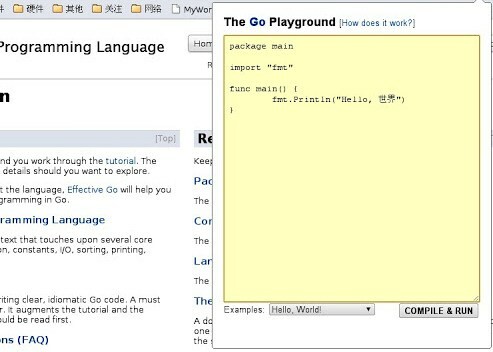 Simply install the Go Playground extension and you'll see its icon in the toolbar. Clicking on it opens a popup wherein you can type and test your code. SOLE 64: SOLE 64 is a simple operating and learning environment designed to help users learn programming. The app helps you study the basics of the computer and lets you program games and other applications that use text and graphics. With support for offline access, this app is quite simple to get started with, especially if you've never coded before. 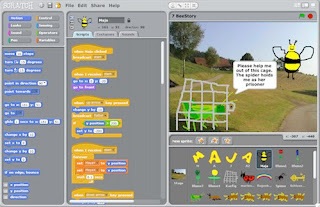 Scratch: Scratch is an easy-to-use programming environment for young people (especially kids) to get started with coding. 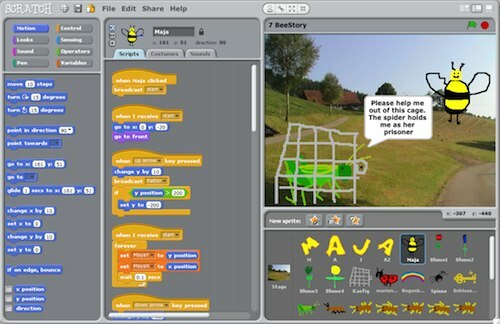 The application teaches coding by letting kids create interactive stories, animations, games, music, and art. They can then share their creations on the web right from the application. Though not that great for adult learners, it does, however serve as a great entry point for your young ones to the world of programming. Developer Tools: If you're getting better at coding, then you can easily switch to IDEs and other developer tools that are available for free. 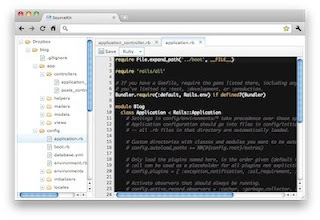 These open source applications let you organize your code more efficiently while also giving you enough tools to improve your coding skills. To get started, simply choose from the myriad of IDEs and developer tools that are available for download from the web. The web has a lot of programming tutorials floating around. Even a simple search on YouTube will result in thousands of such coding videos. However, not all of those resources are effective and only a few of them take you where you want to go. So, here are few of the best coding resources you can trust. Khan Academy: The Khan Academy is a non-profit educational organization created in 2006 by educator Salman Khan. Since its inception, it has gained exceptional popularity with the founder getting listed among Time's Most Influential People for 2012. 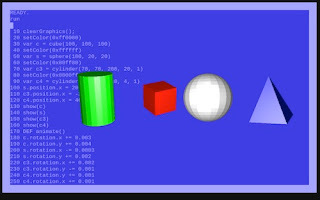 Though you won't learn whole of programming from the virtual academy, it's a great place to get started if you want your basics to be rock solid. Coursera: Coursera is another great means for learning coding online. The courses are conducted by reputed professors and you get a certificate upon completing each of these courses. Worth a shot if you want to go the online way. Udacity: Udacity offers a great variety of computer science courses online. The classes are taught by highly esteemed faculty and you get a certificate upon completion.